19:1 The heavens declare the glory of God. like a strong man rejoicing to run his course. There is nothing hidden from its heat. 19:7 Yahweh’s law is perfect, restoring the soul. 19:8 Yahweh’s precepts are right, rejoicing the heart. Yahweh’s commandment is pure, enlightening the eyes. 19:9 The fear of Yahweh is clean, enduring forever. Yahweh’s ordinances are true, and righteous altogether. sweeter also than honey and the extract of the honeycomb. 19:11 Moreover by them is your servant warned. 19:12 Who can discern his errors? 19:13 Keep back your servant also from presumptuous sins. Then I will be upright. I will be blameless and innocent of great transgression. In Romans 10 we read that preaching is a vital necessity and those called to preach are sent and empowered by God. It is a very special calling. So is it not a fair question to ask why is so much preaching today lame and ineffective? Why do the listeners becomes bored ? Why is preaching spoken of as if it should only have a small part in the service? Some even say out of date. Powerful preaching is so necessary today. Are you exercising your gifts to help your minister? I ask you, where is the ardent christian today who is eager to give themselves completely to live for Christ, dying to self whose soul is thirsts for the living God. When you gather to worship, are you looking eagerly to hear the words God wants you to hear in the sermon? Are you looking to be fed, strengthened and equipped to serve Christ where ever you go, and being an effective witness for Jesus Christ to those who don't know Him? ~ Pray for your preachers and be willing to be obedient to God as He speaks through them. And if you are a preacher, then please do take the time to often be in His Word, praying for Him to speak through you so that the church may be built up. Today we have Bettie, Alphy's sister, giving us the WOW Word, talking to us about forgiveness! She has had to forgive Alphy a lot! True forgiveness is not just saying sorry!! Forgiveness is to include penitence and also a desire never to do that same thing again. Forgiveness of course is a major part of Christianity, both in the way that God forgives when approached in penitence and repentance, but also in the way Christians forgive others and themselves! In both giving and receiving forgiveness, consider Jesus Christ and the enormity of His forgiveness. Paul writes in Colossians 3:12-14 that forgiveness is part of the being in God’s family of Christians! WOW! 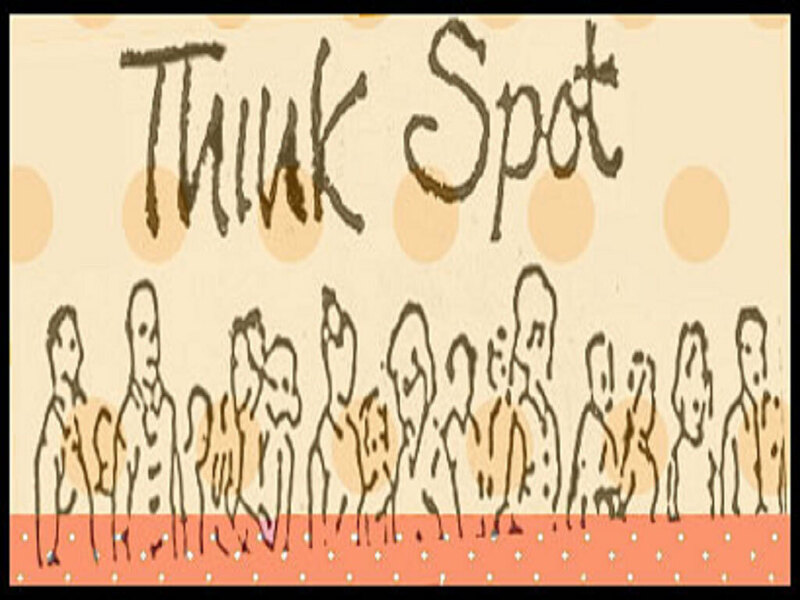 Come see and hear more by playing and/or downloading the video below! Last Wednesday, in the city of London, we saw and heard on our T V screens the report of an experienced helicopter pilot who because of fog was diverting to an air pad which took him over the Thames near Waterloo and Vauxhall Station where he collided with the top of a very high crane which resulted in his death and one other passer by on the ground. As the helicopter crashed to the ground, a horrific fireball, stretching for at least a hundred metres which amazingly didn't cause an even worse disaster. Our heartfelt sympathies are with the pilots partner, and his two children who are absolutely shocked. Something no one ever expected to happen. He was experienced, top of his profession but he sadly died. Also the passer by who just happened to be there also died. How the relatives need our prayers. I will never forget an equally devastating fire that also took place in London, in Peckham Rye some while ago but still most vivid in my memory. It destroyed a prefabricated building one intense winter when an oil burner was accidentally knocked over in the bathroom and a small girl who was visiting her Grandad was burned to death in that fire. I knew her family and as the minister of the Mission where she attended I knew it was necessary for me to visit her parents and family and express my sympathy and any words of comfort I could help them with. The night before I had arranged in my diary to visit I was in prayer before our Lord seeking His guidance. I was crying out to God for help. During that night He brought to my mind some words that Hudson Taylor, missionary to China spoke when he said “You never know the strength of God until you have to. Its not our feeble hold upon him but His mighty grasp upon us.” The apostle Paul wrote “When I am weak then I am strong” Why? Because when we recognise our weakness we are forced to lean upon and trust Him. The next morning, I arrived on that doorstep trembling but trusting God completely. I felt weak in every way. I hadn’t slept well but when the door opened instead of the little girls mother saying “Where was your God when this happened?” Or “Why didn't He stop it occurring?” She quietly asked me into her little home and she listened as I expressed our Mission family's sympathy and said we would do anything which was needed. I asked if I might pray there and then. She allowed me to pray for her grieving family. This lovely, sweet, beautiful little girl was the close friend of my small son so she was well known to both me and my family. So there was more comforting to give at home also. Many of you have been through similar circumstances with either your own family suffering or close friends and you will relate straight away to this tragic event and agree that you never know until its needed what strength God can give to you. J C Ryle, Bishop of Liverpool said “God never promised us an easy journey in this life only a safe landing” . Yes even beyond our comprehension. We come to you the God of all comfort and remember as we read the Bible of the comfort and compassion that Jesus showed to bereaved people. His deep concern for those whose family members suffered death suddenly. We pray for the family of the pilot of the helicopter who died in London last Wednesday. A partner and two children left behind we know are heartbroken. They were a lovely family and now depleted they need your comfort and strength. We pray for those who know them who will attempt to bring comfort to them. Especially for the friends from their schools who know them to help in whatever way they can. We all do feel helpless when tragedy strikes and do not know how to deal with our own or others emotions. Help us Lord to realise You have all the answers and we ask that we might be Christ-like in any help we give to needy cases in bereavement. Today we pray a prayer from Augustine!Come pray! Play & download the video and share this page! and in the power of the Spirit who indwells us! In James chapter five there are several verses related to prayer. James is writing about the kind of praying that produces results and he gives an excellent example of an illustration of fervent prayer in the life of Elijah the Old Testament prophet. In chapter 5:17; James is talking of the fervent prayer of a righteous man who we read about in the Old Testament in the Books of Kings. Elijah the prophet was living an upright righteous life when he prayed for the cessation of rain and then for the necessity of rain in a time of famine. On both occasion the Lord answered positively. This morning I simply want to draw your attention to the words fervent and righteous. 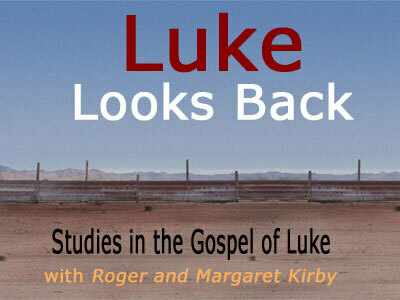 You may like to read the accounts in 1 Kings 17 through 18 to pick up the details. Powerful is the description of prayer here and we learn that much is achieved by it. Three valuable truths we may learn here concerning prayer. 1. Faith - Elijah we are told did not stop praying in the time of intense famine for the requirement of rain even when there was so visible evidence that his prayer would be answered. But It was laid on his heart by God, we believe, and so he persevered through all the doubts that might come into his mind to prevent him praying . He might well have thought “This is unreasonable it hasn’t rained for 3 years and six months what chance is there of it happening now?.” Have you felt like that about unanswered prayer for someone or something that hasn't happened for many years? Praying for a relatives conversion, a job that just hasn't come into sight? An illness that has persisted ? A money problem that just will not go away.? Relationships broken you cannot understand. Faith is VITAL in prayer. 3. Consistency - Elijah watched for the answer and at the appointed time 3 years and six months to the day the rain came “The fervent prayer of a righteous man was powerful” But be warned. The Bible clearly teaches us that if we harbour unrighteous sin in our hearts the Lord will not even hear us let alone answer us. Prayer is powerful but we must not take God for granted. So be encouraged and pray on. We come to You the Almighty God and thank You so much for the relationship we may have with You because of your amazing grace! Sins forgiven and a home in Heaven to look forward to and for now a constant fellowship we may enjoy working with You in your plans and purposes for our lives. Prayer is the method you have arranged for us to keep in contact with you and to follow you. Prayer we admit is never easy especially when we do not feel like it especially when circumstances are seemingly against the answers and doubts attack our faith. We look at the circumstances rather than straight at God. Forgive us for our fears and unnecessary unbelief. Help us to be diligent in prayer with righteous living and with the constant desire to please You. Help us to search for your promises and pray according to them. Today's WOW Word is about Words! 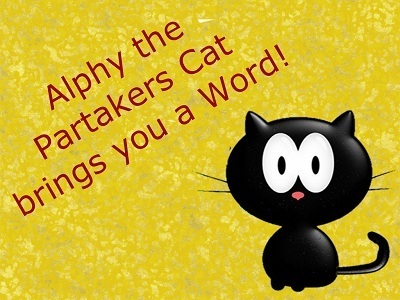 So come see what Alphy the WOWChurch Cat has to say about them!